Can you believe today is the last day of July? Craziness. TONS of July deals end today. Yesterday I asked on Facebook if you would like a round-up in case you missed some of these excellent deals and many of you said yes, please! I have taken advantage of just about all of these deals. They have helped me to replenish my gift stash and get a jump start on Christmas shopping. Don’t miss them. Get 25% off EVERYTHING (including clearance) on Dayspring.com with the code JOY2012. You also get free shipping with purchases of $50 or more. 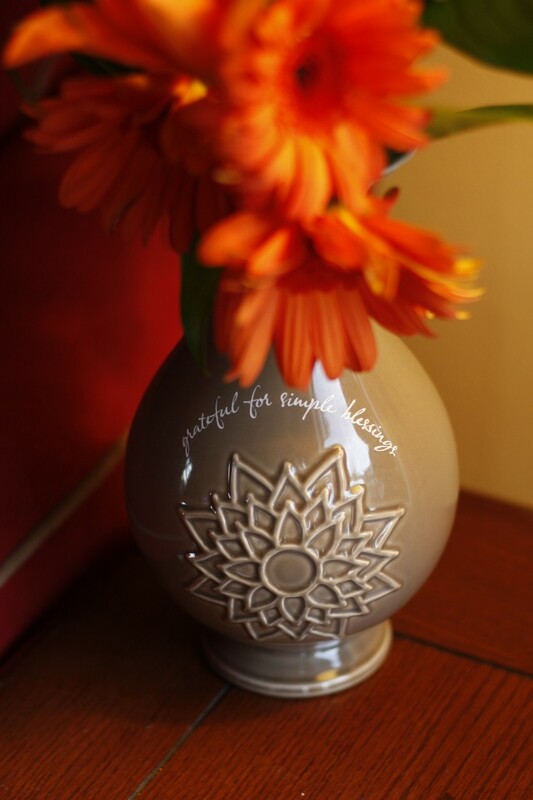 For a list of the best bargains (like the above vase for only $8.24), click here. The 2012 Entertainment Book is available through today (coupons are good through the end of November). They are offering 2 Entertainment Book books for $10 with FREE shipping. The book has so many buy one, get one free food and attraction coupons – it will pay for itself with just one coupon. I love, love, love these books. Paper Coterie– is offering up to 70% off their gift cards, which you can use to buy any of their amazing products. I’d recommend saving it to use on Christmas photo cards, but you can use it on anything. YEOW! Paper Coterie is planning to release more than 100 new card styles and designs before the Christmas season and chances are every single design will be drool worthy. You can use the cards over the course of multiple purchases AND on shipping. So, if you like to take advantage of Paper Coterie’s freebies, you could use these gift cards on the shipping (which is usually not included). Lisa Leonard is offering a free $20 gift card with all orders through today (no coupon code necessary). All new accounts get 40 free prints! I love taking advantage of free print offers like this. If you don’t need prints, consider sending the prints to a loved one. Plum District is offering 25% everything with the code FLASH31 until today at 5 pm PST. Remember, these bargains end today! Be sure to share in the comments what you took advantage of. Disclosure, compensated affiliate links used. Thanks! Just got some kiddo labels via Plum District– $15 for 155 labels! The Paper Coterie site has said it’s updating for the last four or so hours so I can’t order my gift certificate. Any chance I can get the deal tomorrow or another time this week if it doesn’t work tonight? The sale is still on until tomorrow 🙂 I spoke with a Paper Coterie rep this morning. Woohoo! A lot of days, I get the Pinterest Spam blocker thing b/c I have pinned to many that day. Happy Pinning !!! Have a great day!!! I bought four vases and two wooden caddies for $50! I just LOVE these deals! I was still able to get the Paper Coterie gift card today, $100 for $30 is amazing!